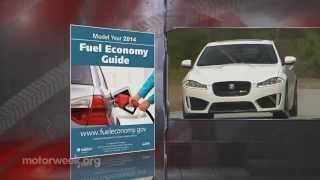 Jaguar has revealed the 2014 Jaguar XFR-S at the 2012 LA Auto Show. 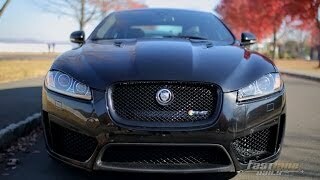 The XFR-S is Jaguar's fastest, most powerful and agile sports saloon ever. 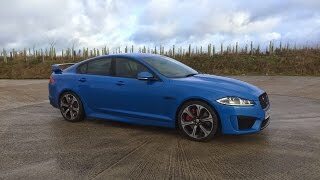 The XFR-S incorporates engineering features from both the XKR-S and the all-new F-TYPE two-seater sports car to create the most driver-focused, agile and responsive iteration of Jaguar's award-winning XF saloon range. Electrifying performance is provided by the 5.0-litre supercharged V8 petrol engine which now boasts 550PS and 680Nm - up 40PS and 55Nm respectively over its XFR installation. 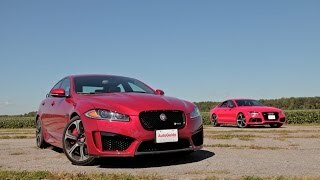 Fitted with an eight-speed transmission incorporating Jaguar's 'Quickshift' technology (developed for the F-TYPE), the increase in engine output allows the XFR-S to accelerate to 60mph in 4.4 seconds (0-100km/h in 4.6 seconds) and on to an electronically limited top speed of 186mph (300km/h).